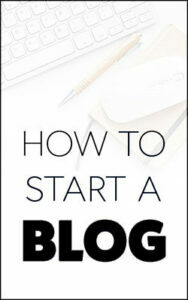 Are you interested in starting a blog? Do you want to be able to produce an online income report like this one? If starting a blog is something that you are thinking about, be sure to check out our tutorial that will help you start a blog of your own for only $3.49 per month (it’s a tiny cost for blog hosting compared to the potential profits that are possible!). If you sign up through our Bluehost link you will also get a free blog domain name and the lowest possible price for hosting. Be sure to check out our recommendations page for tons of exceptionally useful tools that we have used to make money online. We love them all and we are sure you will as well! October was a slower month than September and income was down substantially (Check out our September Income Report where we made $10.5k). We have noticed that our online income tends to spike, like last month, then settle back down in the $2k – $3k range. This is due to particular affiliate programs running promotional sales, etc. What we are noticing though, is that the big earning months are getting bigger and the smaller earning months are not as small – so hopefully, we are on a general upwards trend in terms of income. The purpose of documenting this online income report is to show you our progress and hopefully inspire you! Our medium term goal is to add more online passive income sources from different affiliate programs to try to increase income, diversify and smooth out the crazy income fluctuations. By opening up and showing you exactly how we are making money online, the hope is that this will inspire you to set up some passive income streams. However, in the interest of full transparency, please realize that blogging is not easy! We have been working on this for years. It is entirely possible to make a million dollars per year from blogging though (Just check out how Michelle has done it!) but it takes time and huge amounts of effort. Sometimes working on a new blog can be extremely hard – hours and hours of work for maybe no financial return. We always try and remember that it WILL pay off eventually and that all the work you do on your blog is for YOU not some employer. Remember it’s an investment in yourself! Clickbank is a well respected affiliate network with so many awesome offers for almost any blog niche – We have made nearly $1,000 from promoting various stock trading products on Clickbank. The variety, reputation and ease of use are the positive aspects of Clickbank. However, they have the most annoying payout scheme that I have ever seen from any affiliate network. There is no minimum balance requirement, instead they rely on a ‘CDR’ scheme where you must have sold a minimum of three different products with the customers paying with two different payment methods. For well established affiliates, this is not a huge issue but for new affiliates this can mean months of waiting for a payment. This is what happened to us – we sold a couple of recurring commission products that generated nearly $1,000 over a few months but we still did not meet the requirement for actual payment from Clickbank! Tip: If this happens to you, just email Clickbank support and ask for the CDR requirement to be waived. This is what we did and they immediately waived the CDR requirements and sent us payment. Sometimes you just have to ask! This blog is only a couple of months old, but we have started to see some small trickles of income from some of our articles. Our experience with our stock trading sites is that once you have generated a small stream of affiliate income, it is just a matter of time and effort to grow it to $100’s or $1,000’s of dollars. Don’t ever give up and always be testing new things! Paid Survey + cash back sites (e.g. Survey Junkie, Ebates, Swagbucks etc.) Referral Commissions = $50 + $2 = $52 (See my step-by-step CPA affiliate strategy). Bluehost referrals = $130 (You can read why I consider self-hosting to be critical to making money online and my full Bluehost Review here). We test and review cash back sites and survey sites on this blog – so it is only fair that any income from participating on these types of sites is included in this online income report. If you are interest in trying out some of these sites then be sure to click on the reviews below. Unconventional Prosperity had 1,736 page views in October and made a total of $182. This is about $0.1 per page view! This is pretty decent in my opinion for such a new blog. Almost all our traffic is from Pinterest. Pinterest is a game changer in my opinion for new bloggers. If we were just relying on google then we would have made zero income from this new blog. We am not even close to being at an expert level with Pinterest – in October we barely had 50 views per day from the social media site. However, 50 views per day is way better than zero views per day so we are very excited about the future potential for massive traffic from Pinterest. We just started using a scheduler (Tailwind) for Pinterest which has freed up a lot of time from manual posting on the site. Our traffic is growing steadily because of this and we expect to break the 2,000 views per month mark this month from Pinterest traffic alone. Currently, we are pinning to about 40 group boards with about 60 posts to Pinterest per day. Probably about 80% of the pins are from this website and the remaining 20% are other peoples pins that we repin to our own boards. Our pinning performance is not quite on par with Pinterest experts like Carly Campbell that get 200,000+ views per month from Pinterest, but still better than nothing! I think that optimizing for conversions with low traffic is probably not a bad idea so that when you get a lot of traffic it actually converts to income. New Group Board – Open to Contributors! We have joined 10-20 new group boards on Pinterest this month so this is likely why our traffic is increasing. We also started our own group board on Pinterest – Online Income Reports. If you want to post your online income reports to our group board, just follow me and the board on Pinterest and drop us a message (or comment below requesting) to be added and we will happily add you as a contributor. The Bluehost affiliate program earned us $130 from referral commission. We have a conversion rate of about 15% for Bluehost website hosting. Noticeably, poor conversions for survey sites: Panda Research and MyPoints. MyPoints is a great cash back site that is very similar to Ebates and Swagbucks. Sometimes it is just weird what people opt-in for – it isn’t always the best quality sites that attract people! I hope this online income report gives you some inspiration or some new ideas for monetizing your own blog!